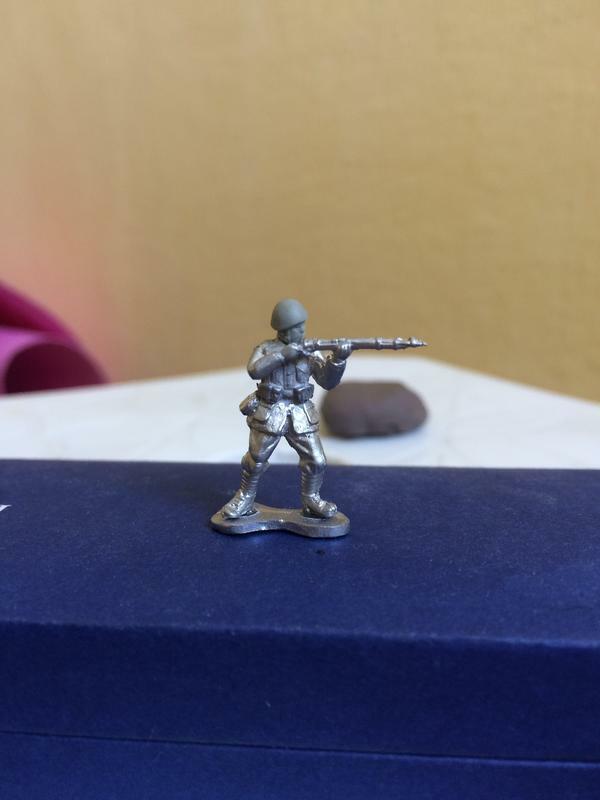 Benno's Figures Forum • Greek soldiers (Balkan Wars/Greek/Turkish War and WWII). Greek soldiers (Balkan Wars/Greek/Turkish War and WWII). This is the initial of my work with Greek soldiers. 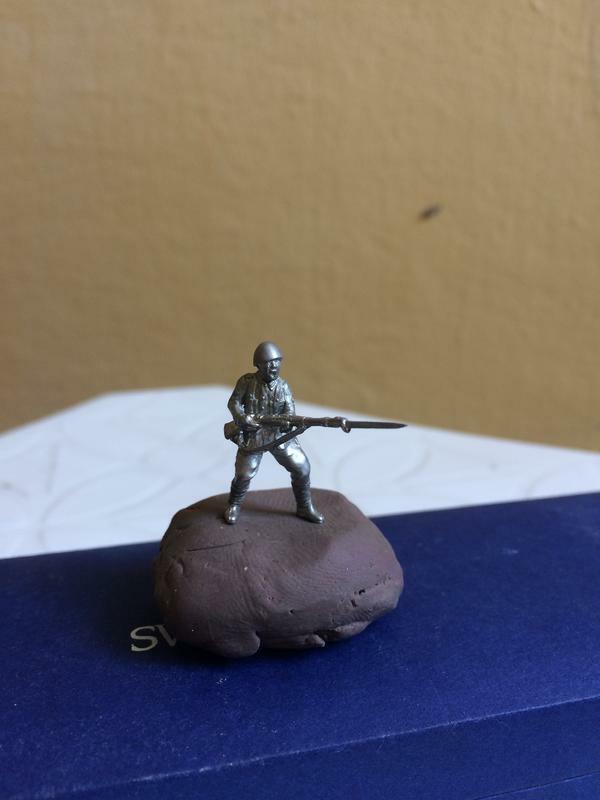 Using references, I sought to make varieties of soldiers from the Campaigns of 1912, 1921 and WWII. Among Greek infantry, Italian Legion, some evzones can be used for all periods. The figures are still in the finishing phase and the suggestions are welcome. 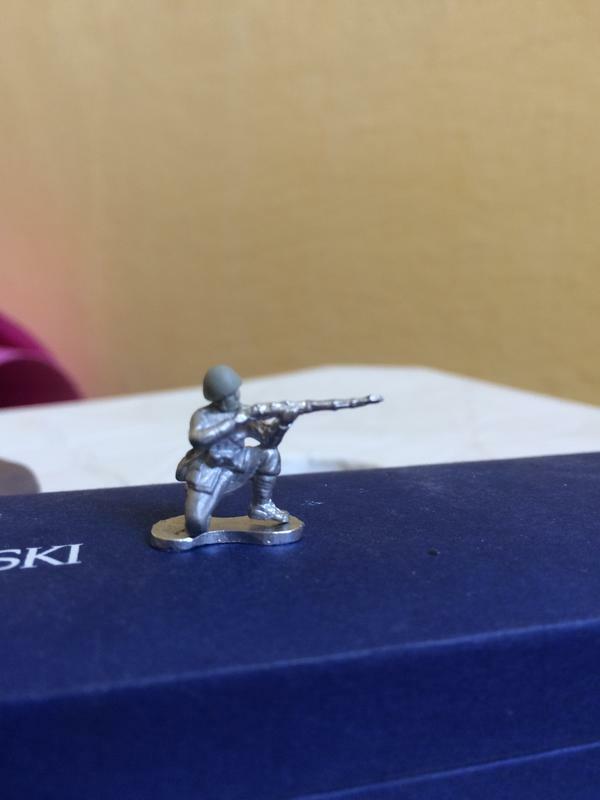 I build this year a small Dio with Greek soldier in early WWII. The captured Italian tank (A pic seen in the internet) catch for this theme my interest since several years. The closest for uniforms I get are Pegasus Russians with converted helmets. 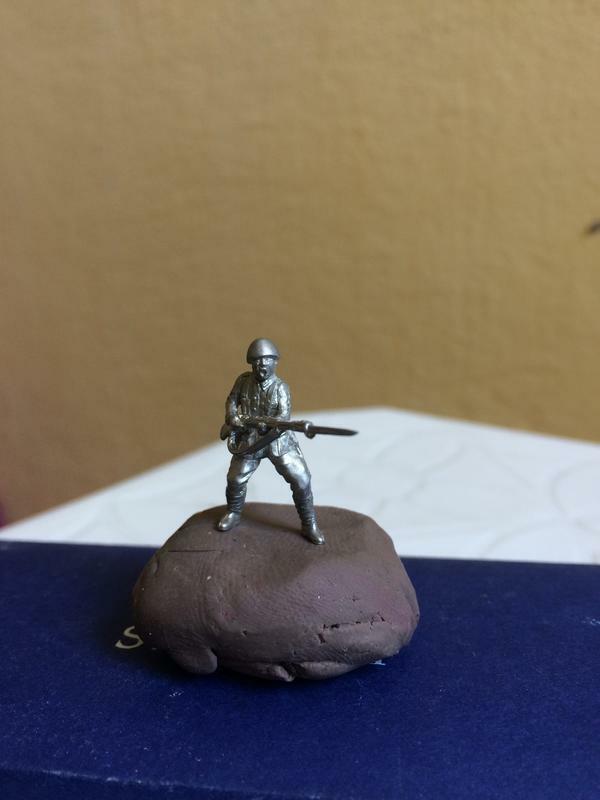 Esci ACW soldier and D-day Miniaturen as Millicast WWI troops. These figures in her clothes are not bad compared to the pic I find in the internet. They wear it in non combat scenes. But no one get a typical Greek soldier look I am happy with. 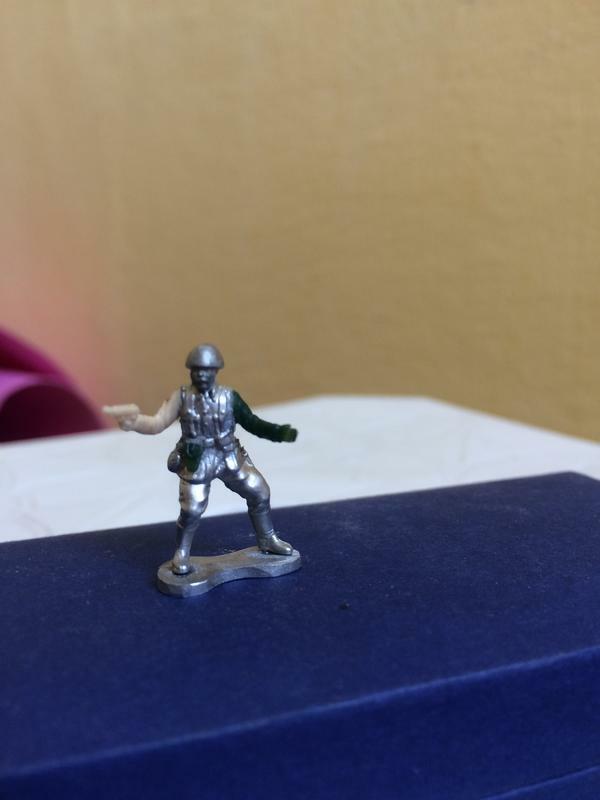 Your made figures look like Greek soldier for that time frame. Thank you for posting this theme. During WW1 the uniform of the Greek soldiers was almost a copy of the French's. The right helmet is the French one. The other helmet find use in WW2. The last photograph comes from a special unit consisting of the Cretan gendarmes. I am very much interested in your work. Your Blackbeard under the sculptor's name won a gold award in the last competition here in Chania. I would like to buy a set or even some of your evzones and Bismark if possible. Many Thanks for the comments, friends. 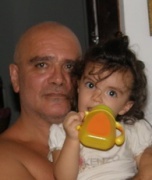 My friend Kostis. I was very happy with the news of the Black Beard Award. Send a photo, please. As for your request of the figures, I can send you the Bismarck, because I have copies, but unfortunately the Greeks are unique figures, I did not make copies of them. I work 64 hours a week, and I have 5 children of 4 differewnt mothers and I do not have much time for the hobby, but if you are not in a hurry to receive, please tell me what the figures you were more interested in and I can do. Also tell if you want only the single piece, or if you want quantity, it is necessary to make mold of silicone and copy. One month ago in our annual local model exhibition/competition, here in Chania I had participate with the vignette of Blackbeard that I have already post here in the forum and it was awarded with a gold. I definetly want Bismark, but if you find time I also like the evzone in your 3d photo of your last post (the one in the center, who is marching or may be the 1st from the right in the 4th photo. I am very proud to have examples of my friends work. This time I would feel more comfortable to pay for them and I am really grateful for your gift of the Blackbeard. Wonderful figures and a great topic. I think the world of 1/72 figures needs these to go into production! I appreciate your figures which are really well done. You have caught well not only their uniforms, but their actions too. I would been a pleasure to see them later painted in a diorama. These figures gave a lot of work to carve some parts and convert others. They're unique, but maybe in the future, I make some copies. As soon as I can, I will paint the figures and post in the Gallery of our forum. Great figures!!!!!!! I would like to do a ww2 greek army from along time. How can I buy your nice miniatures? Thank you very much for the comments, but I am not a seller of figures. My conversions are just for fun.